Hos Dorte: Reminder for the House Mouse & Friends Love/Valentine blog hop ! 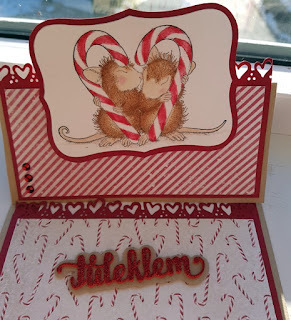 Reminder for the House Mouse & Friends Love/Valentine blog hop ! 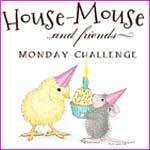 House Mouse and Friends Monday Challenge Blog Hop! Don't forget to be eligible to win any prizes along the hop you need to leave comments AND made a project to join in with the challenge which you must link into the inlinkz system on the challenge blog! used for this card last week. I made an easel card, it's such a longe time since my last one! cut out with a die from Kort og Godt. tag to write on in the bottom. 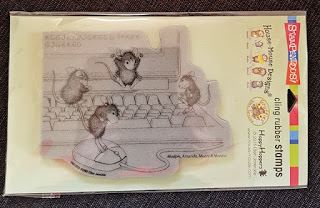 I will be giving away this cute HM image. This is adorable Dorte! 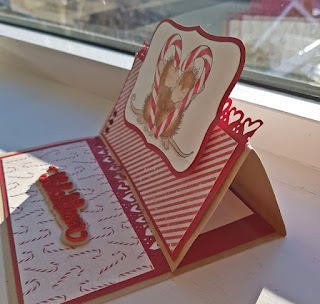 Love the easel fold and your design is just beautiful! Thanks so much for joining in the fun at our Double D ‘Hearts’ challenge! Good Luck and we hope you’ll come back often. Your card is adorable! I have not yet mastered the flip up card so I am just in love with yours!! What a beautiful card with a cute stamp. Such a sweet card. Love the use of the circle for the sentiment. Thank you so much for joining us at the Art Impressions blog challenge Stripes and circles. 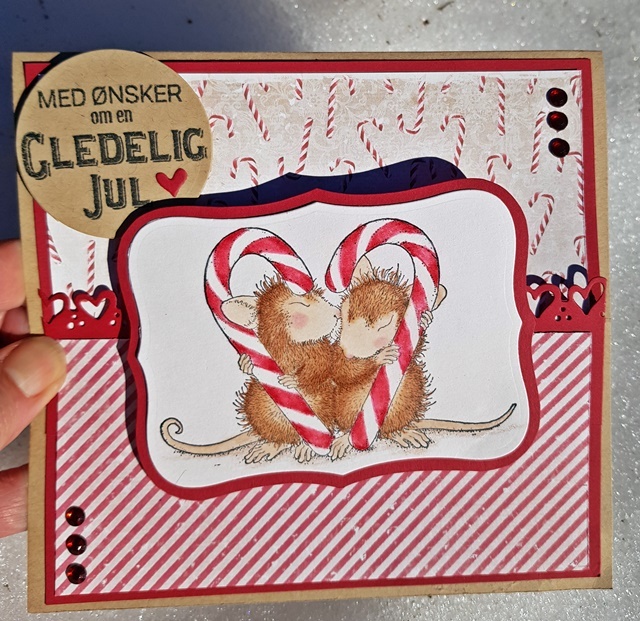 A beautiful easel card and such darling mice! Thank you so much for sharing it with us at As You Like It Challenge. I hope you’ll join us again soon. 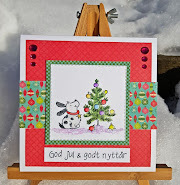 Fabulouse easel Christmas creation, Dorte. Love the striped papers and the coloring is beautiful. 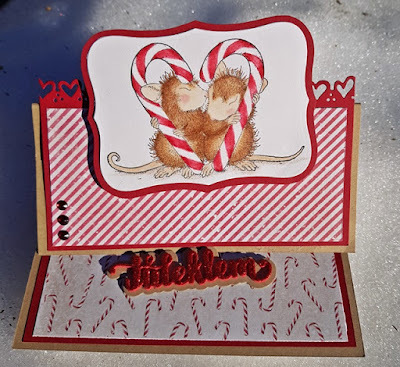 Oh how I love your fabulous easel card and love how you used the heart border on your gorgeous Christmas card!! Loving that adorable image and the fancy easel card fold! 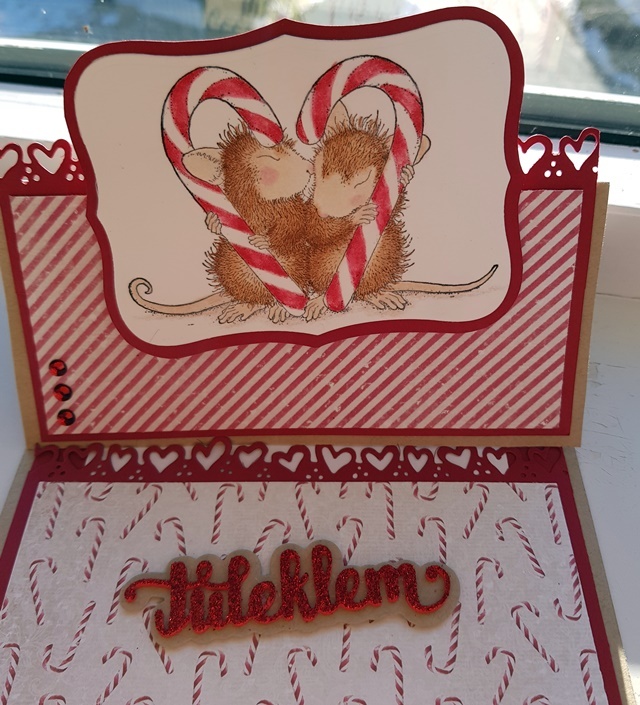 That heart border echoes the candy cane heart in the image so perfectly! Such an adorable card! Love the papers & cute heart border! All about the weather, a DT card for HM&F.